Singapore, 27 August 2018 ​- ​All gamers — whether they fancy the endorphin-inducing Candy Crush or prefer challenging their friends to an action-packed session of PlayerUnknown’s Battlegrounds (PUBG)​ are welcome to experience the gaming wonderland that is the Good Game Experience (GGXP)​​, taking place alongside the Singapore Toy, Game and Comic Convention (STGCC). At GGXP, gaming is more than merely conquering levels and obtaining high scores. The gaming convention hopes to foster a sense of camaraderie amongst friends and fellow gamers, with its console, table-top and reality-bending offerings. There’s more to GGXP than high-octane drama and intense tournaments. Those seeking to explore the vast world of gaming on their own terms can relax at the ​Freeplay Zone​,​ where they can try their hand at exciting console, PC and retro games. Master-chefs and food enthusiasts eager to satisfy ravenous customers will get to show off their culinary prowess in thrilling team-based kitchen game,​ ​Overcooked.​ ​Participants may compete in pairs, and those who manage to feed the highest number of hungry mouths stand to become the recipients of attractive prizes. GGXP continues to make unique efforts to boost the profiles of deserving indie game developers in Singapore, which offers something for everyone – from novice to seasoned gamers. This year, through the ​GGXPedition​, visitors will have to embark on an expedition to try their hands at a vast selection of gaming titles spanning various genres. Four selected participants, who have tried out all the games through the ​GGXpedition ​at least once, will get a chance to battle it out at a final showdown at GGXP. At stake are exciting prizes such as Nintendo Switch console sets and Nintendo Super Famicom Mini sets. More information can be found on GGXP’s website ​here​. GGXP aims to serve as a gaming hub for fans both local and international. By featuring up-and-coming game creators at the convention, GGXP hopes to shine a spotlight on talented indie studies, and provide them with a platform to showcase their work and realise their full potential. The rising stars of the gaming universe will be celebrated at the ​Good Game Awards, ​a GGXP-led initiative, which supports indie developers. The winners will be judged and crowned by a distinguished panel comprising of gaming journalists, professionals and developers. Those who ace the competition with flying colours walk away with a free trip to PAX Australia 2018​ (convention passes, flight and accommodation included), cash prizes worth $1,500 and more. Instead of letting old game titles gather dust in a corner, people can now bring them to be exchanged at ​GameTrader’s​ first ever​ ​Physical Game Trading Event​. Those seeking to purchase games can access a wide range of reasonably-priced PlayStation, XBox or Nintendo titles. Game-sellers tired of going through the hassle of coordinating meet-ups and negotiating prices with their buyers will find a convenient solution to their problem at the game-swapping sessions. All they need to do is post the details of their products on GameTrader’s website and drop them off at the designated booth at GGXP. All payments and processing of fees will be handled by GameTrader. Click ​here​ for more information on terms and conditions. ActionCity will be unveiling limited edition collections from cherished pop culture brands such as ​Medicom Toy (BE@RBRICK)​, ​Hot Toys, Bandai (Daruma Club)​, ​tokidoki and DEVILROBOTS (TO-FU)​ at the convention. Exclusive to STGCC is the much-awaited tokidoki collaboration with Hello Kitty, ​tokidoki x Hello Kitty Series 2. ​Fans of all things kawaii will cherish the many-hued tokidoki Unicorno Metallico Series 3 which includes statuettes, keychains, vinyl tote bags, assorted keychains and more. All of this memorabilia is exclusive to San Diego Comic Con, and has made its debut appearance at the convention. Fans with a 9-5 job will appreciate tokidoki’s hard-working tiger, Torayama-san aka Salary Man Tiger. Another San Diego exclusive, this terrific tiger will be sold in 3 different colourways. Mr. Kiasu​, patron saint of perfectionists everywhere hopes to make an excellent impression on STGCC attendees with the 10th volume of his eponymous comic book. Joining him is Golda, a student at the magical Super Age Academy and the protagonist of the ​SuperRich comic series. Both books will be launched exclusively at STGCC, where fans can get copies signed by series creator Johnny Lau and artist Rick Chen on both days of the convention. To commemorate Marvel Studio’s 10th anniversary, ​Hot Toys​ will be bringing to STGCC their take on everyone’s friendly neighbourhood superhero: an iridescent figurine adorned with the colours of the galaxy. In Hot Toys Cosbaby’s rendition, Spider-Man trades in his usual red-and-blue for an opalescent combination of metallic red, green, blue and gold. Singaporean luxury art collectible maker ​XM Studios,​ known for their collaborations with some of the most revered entertainment and pop culture brands in the world, will be unveiling a series of statue collectibles for the first time at STGCC. These collectibles will include characters from Hulk Transformation​ ​, ​Guardians of the Galaxy and the ​X-Men​ series as well as a much-anticipated secret project involving DC. 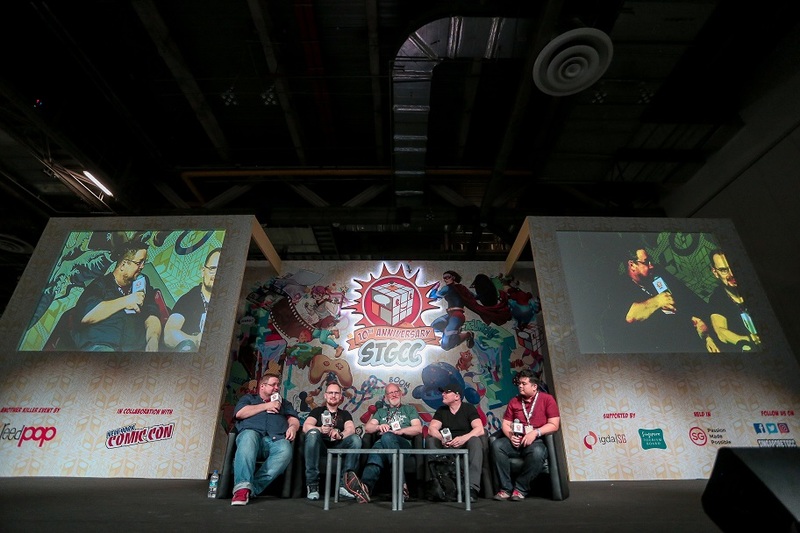 The third wave of guests have a diverse portfolio of accomplishments between them-from multifarious music producers to quirky costumiers and sought-after cartoonists, STGCC has ensured that attendees can access dynamic and proficient creators at the top of their fields. 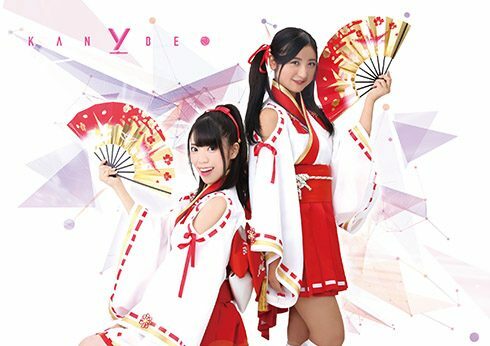 Donning traditional “Wa” styled costumes and armed with oodles of energy, the ​Fukuoka Kanbe​ girls will be educating viewers about the unique culture and history of Fukuoka and Hakata prefectures through song, dance and drama. Electronic music duo​ ​Polyphonix​ consists of producer MK and DJ nana, who will be bringing their infectious dance beats to STGCC. Polyphonix has contributed a variety of genre-spanning music to video games (Beatmania IIDX), compilation albums, nightclubs and anime. Designer ​Olivia Mears AKA ​ ​AvantGeek​ has received international acclaim for the usage of unusual material such as food, recyclables and art supplies in her creations. Her work is often referred to as “wearable art”, with noteworthy costumes including the “Taco Belle” and “Pizzarella” items. 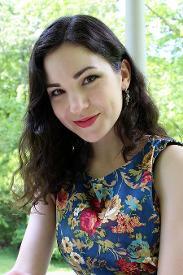 She also serves as a brand ambassador for SINGER® Sewing Company. As a child, ​Simone Legno​,​ co-founder Japanese-inspired lifestyle brand tokidoki loved to sketch. His passion for art spurred him to create a host of lovable characters such as Cactus Friends, Donutella and Moofia-all of which would go on to become part of the tokidoki family. The brand is also highly visible in the fashion world, having collaborated with names such as Karl Lagerfeld, Sephora, Onitsuka Tiger, Marvel, Hello Kitty and Fujitsu. 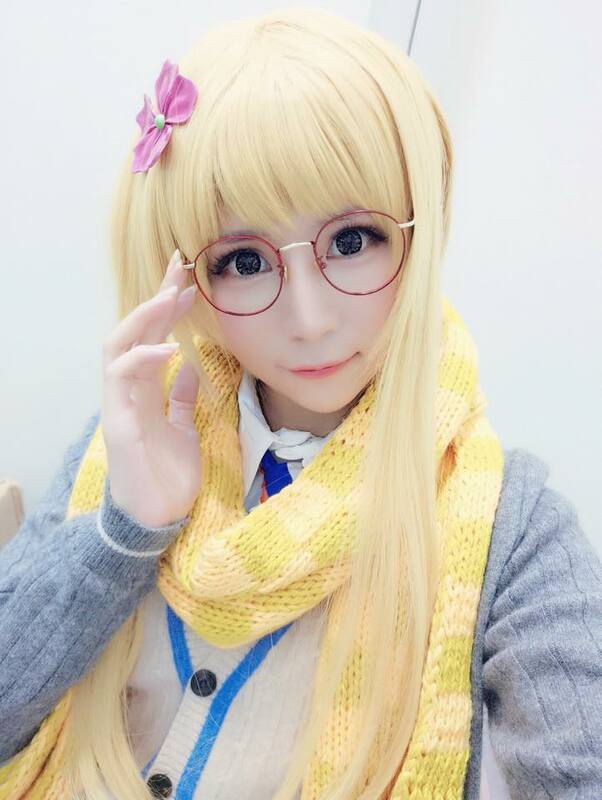 Taiwanese cosplayers ​Shiraga Yanko​,​ fondly known as ​Xiao Yang​ by her devoted fans, is famous for her porcelain doll-aesthetics and dainty portrayals of beauteous young female characters from the world of anime. Owner of famed Japanese nightclub Akihabara MOGRA and instructor for famed DJ equipment producers PioneerDJ, ​D-YAMA​ is a top DJ in Japan’s burgeoning Anisong scene. He tours internationally and has performed alongside popular anisong artist Mami Kawada. To view the latest guest line-up, please click ​here​. Passes are now on sale online ​here​, and at all Kinokuniya and Action City outlets islandwide in Singapore. Previous articleThe #STGCC2018 Ticket Giveaway!